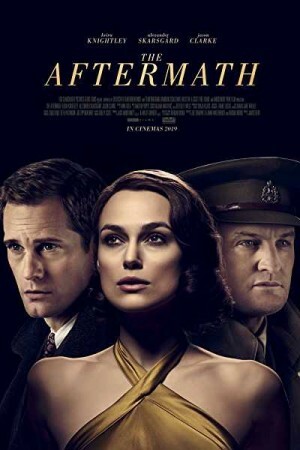 The Aftermath is an American drama film set in Germany in 1946, during the postwar era. After World War 2 ends, a British Colonel is assigned to live in Hamburg along with his wife during the post-war reconstruction. While Rachael Morgan meets her husband Lewis in the ruins of Hamburg and sets off to their new home, tensions arise when Rachael finds that they will be sharing the grand house with the previous owner Stefan Lubert, who is a German widower, and his troubled daughter. While the charged atmosphere further fuels enmity and grief, further giving way to betrayal and passion, how things turn forms the rest of the story.